In the last year, I’ve written quite a few posts about Colombia for the Spanish blog. I wrote about studying Spanish in Medellín, which I highly recommend as a destination for learning the language. You can also read my post about La Ciudad de la Eterna Primavera (the City of Eternal Spring) and how it’s a city with a dark past but a bright future. If you want to learn some of the local lingo, be sure to check the post on Colombian Spanish. In today’s post, I’ll do my best to answer the question “¿Cómo es la comida colombiana?” (What is Colombian food?). Colombian food is influenced by indigenous, Spanish, and African cuisines. Thanks to its temperate climate and wide range of altitudes, Colombia is blessed with fresh produce year-round. It’s one of the most bio-diverse countries in the world, and this definitely shows in the cuisine. The cuisine in Colombia varies from region to region, with different ingredients and dishes in each area. Of course, what people eat up in the mountains is certainly different from what they eat on the coast, which is also different from what people are cooking in the Amazon. All across Colombia, some of the most common ingredients used are arroz (rice), maíz (corn), papas (potatoes), tapioca (cassava), plátanos (plantains), huevos (eggs) and frijoles (beans). Colombian cuisine also includes plenty of carne (meat) and mariscos (seafood). Generally speaking, Colombian food isn’t very spicy. There aren’t a lot of chilies used in Colombian cuisine like there is in Mexican cuisine, for example. To add a little kick to Colombian dishes, you can use a bit of aji picante – a spicy sauce made from the aji pepper. Now let’s take a look at some typical Colombian dishes. We’ll start with one item that’s ubiquitous throughout the entire country – arepas. These are made from ground maize dough or cooked flour. They’re usually flat, small, and round. Arepas are often eaten plain as a side dish, but they can be topped or filled with many different ingredients. 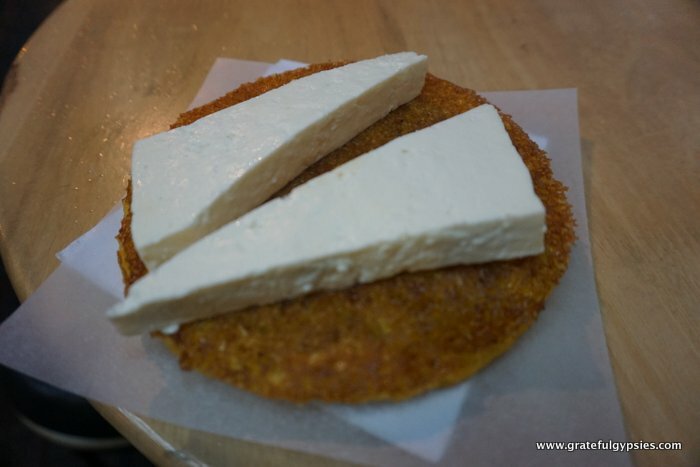 I love a good arepa de choclo con quesito (arepa with cheese). At first, I thought it was with chocolate, but choclo is actually a kind of tender corn that’s used to make these popular arepas. For breakfast, a popular dish in Colombia is changua. This hearty soup comes from the central Andres region of the country. It’s a milk-based soup that also contains onions, eggs, and coriander. Another go-to choice for breakfast is a tamale. These are made with a corn-based dough and stuffed with a variety of different items, then wrapped and cooked in a banana leaf. One of the most common snacks in Colombia is an empanada. Colombian empanadas tend to be deep-fried, which while it isn’t exactly healthy, sure is delicious! The most common filling you’ll find in Colombian empanadas is a mix of beef and potatoes. A nice bowl of ajiaco. Now let’s move on to some of the most common main courses in Colombian cuisine. We’ll start with a delicious soup that comes from the capital of Bogotá – ajiaco. This delicious soup is made with chicken, potatoes, and herbs. You usually get some corn and avocado on the side, which you can add to the soup if you like. It’s filling and will also warm you up on those chilly days in the Andes. In Cali and the greater Valle del Cauca, the soup of choice is sanchocho. It’s a water-based soup that usually has either fish or chicken along with yuca, maize, plantains, and potatoes. Different vegetables and seasonings are added depending on the region. It’s typically topped with cilantro, onion, and a squeeze of lime. On the coast, it should come as no surprise that seafood is king. There’s more grilled fish than grilled meat being cooked up in places like Cartagena, for example. A lot of seafood dishes on the coast are served alongside arroz con coco (coconut rice). It really is a winning combination! Another must-try on the coast is cazuela de mariscos (seafood stew). Moving to the Spring City, the most popular dish in Medellín is definitely bandeja paisa. This massive, artery-clogging plate is full of carne molida (ground meat), chicharrón (fried pork rinds), red beans, a fried plantain, a fried egg, chorizo, an arepa, and an avocado. My wife and I would usually share one and would both be full. Many Colombians would say that bandeja paisa is the most quintessential dish from their country. I’m sure you’re feeling pretty hungry after reading this post! I know I could go for a delicious, deep-fried Colombian empanada covered in some aji picante right now… Before you go, though, take a minute to answer these questions in Spanish by leaving a comment below! ¿Has probado la comida colombiana? ¿Te gusta o no? Have you tried Colombian food? Do you like it or not?